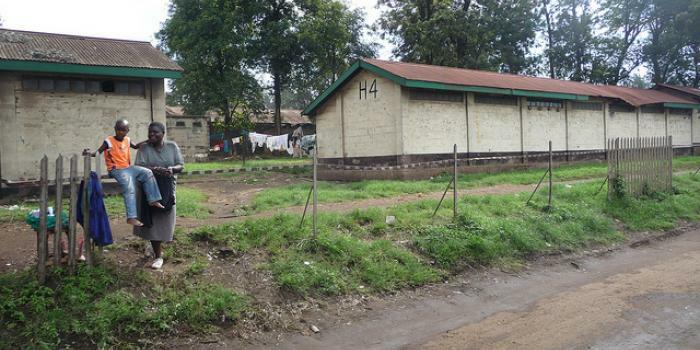 Muthurwa Estate and part of Marikiti market is set to be demolished next month to pave way for the construction of a new market and a road by Japan International Cooperation Agency (JICA). The residents, led by Muthurwa Residents Welfare Association Chairman Mr Patrick Kamotho protested the planned demolition of their houses citing lack of transparency in the planned demolition. Kamotho argued that there were fishy deals to deny the residents compensation after the demolition of the houses, which would render them homeless and helpless. “The chief has come up with a new list in which none of those who will be affected by the project are present and a household survey has not been conducted up to now. We need people who are trusted to conduct the household survey because if the chief is already compromised, those who gave him money will still be included in the list,” said Kamotho. The estate is inhabited mostly by traders at the Muthurwa market. This is seen as one of the government efforts to decongest the city centre by moving most of the matatu termini to the new market. Nairobi has been experiencing traffic snarl-ups putting the county government at loggerheads with motorists. Recently, the county government has been trying to move out boda boda riders from the city centre, which has proved futile.